This is a Pulse Oximeter and Heart rate Sensor module based upon Maxim's MAX30100 integrated IC which is an compact low cost integrated solution for measuring Heart Rate as well as Pulse oximeter. 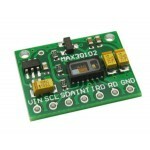 MAX30100 sensor has two led's and a Photo-detector the two led's are used to emit two different wavelength of light. One led is a red led while the other one is an infrared led. 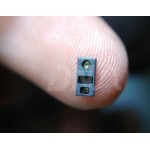 The photo-detector is then used to sense the absorbance of the blood flowing through the finger tip. This signal is then processed using a low noise analog signal processing unit and then an internal micro-controller then converts it into digital output and gives out data in i2c protocol. 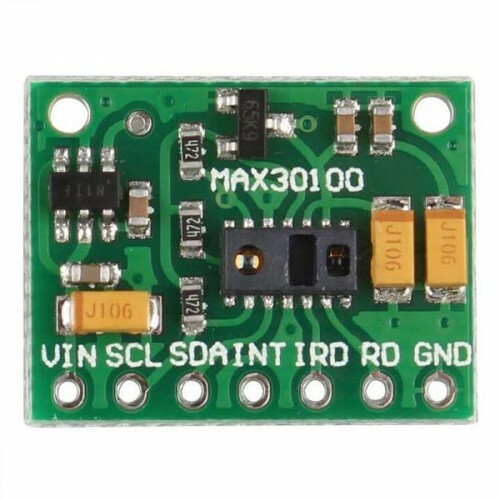 MAX 30100 Sensor Module has an inbuilt voltage regulator so it can be powered via 5 Volt and can be interfaced to any 5 volt micro-controllers, Arduino as well as Raspberry Pi.